After a long and gruelling expedition, you finally find yourself at the summit of a Munro that you have been long yearning to bag. Something about the whole situation seems somewhat juxtaposed; here you are at the top of a mountain, a true achievement of human endurance, and your reward for accomplishing this feat is a crudely prepared lunch. The accomplishment of overcoming a challenging trail should be rewarded with something of equal glory. Whether you’re hiking a mountain or spending a weekend away with the family, Trangia is the perfect piece of kit to bring along with you on your next trekking adventure. Read on to find out the benefits of owning a Trangia Cook System! 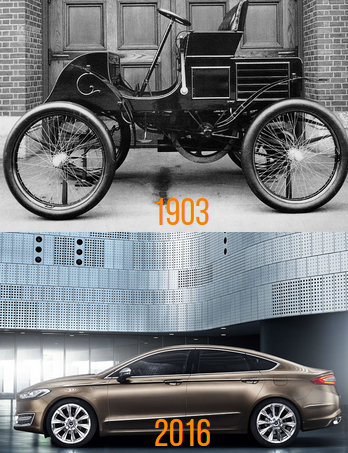 If you look very closely, you will notice that these are actually two different cars. Can you spot all six differences? The short answer here is that is hasn't. From the above comparison, it’s clear that throughout an almost 80-year lifespan the Trangia Cook system has barely changed at all - but why? Sceptics may argue that this can be attributed to laziness or even neglect, however this couldn’t be further from the truth. The reason the Trangia Cooking System has undergone a minimal number of changes since its inception is because it is – and always has been - a sound, all-encompassing piece of kit. Sure, the design has been modernised and the Cook System has been refined over the years, however at its foundation is the original, ingenious design that it has always been. The fact that it has undergone so few changes throughout its lifespan is a testament to just how effective the Trangia Cook System is. As the old saying goes: if it ain’t broke, don’t fix it. Why choose Trangia over a typical camping stove? 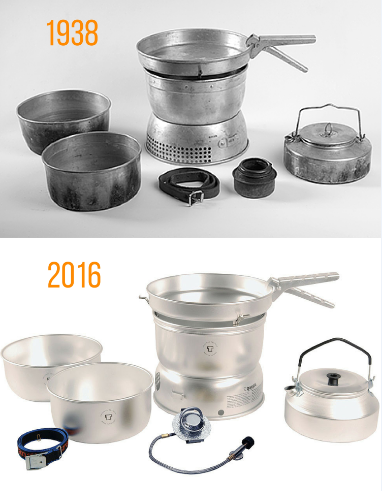 From the above image, it may seem like the Trangia cooking system is pretty complicated compared to the typical camping stove. With so many different parts to account for, you would be forgiven for thinking the stove is a hassle to pack up, and after a lengthy trail the last thing you want is spending unnecessary time setting up your cooking equipment. You’re exhausted, hungry and you want your food now, damn it! 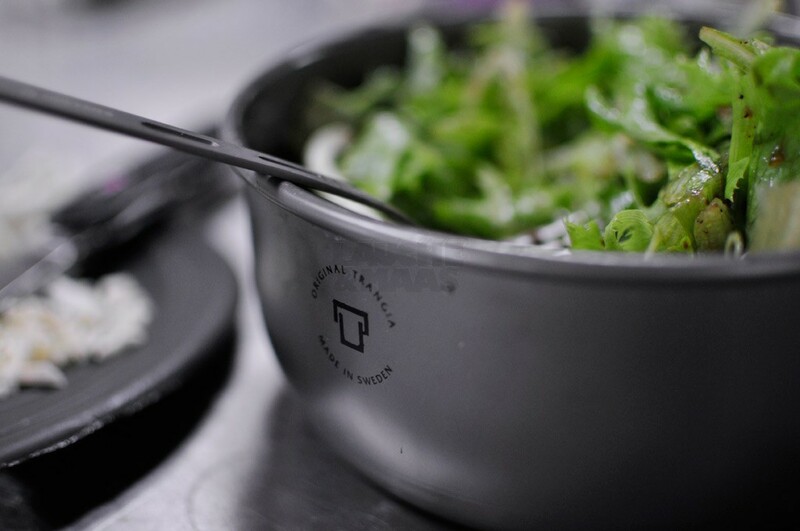 The Trangia Cook System is also very easy to set up and use. For example, in a typical backpacking situation, one person can put up the tent while the other sets the Cook System up and pops the kettle on; this means that you can enjoy a hot cup of tea in your tent sooner than with a conventional stove. A conventional stoves effectiveness is often weather dependant, however the Trangia Cook System will work in any temperature and in any weather. Even when it’s windy, you can simply turn the windshield into the direction of the wind, which will actually increase the heat output of the burner. Vango Gel Fuel combines with the Vango Cooking System to create a safe, environmentally friendly outdoor cooking structure. It has also been approved for use by both the Scouts and DofE – as with any flame, please exercise the necessary precautions when using the Gel!